Tuesday and J by Jasper now online. Odd Future pals Taco and Jasper Dolphin have launched their own clothing lines, both housed at the same website, tacoandjasper.com. 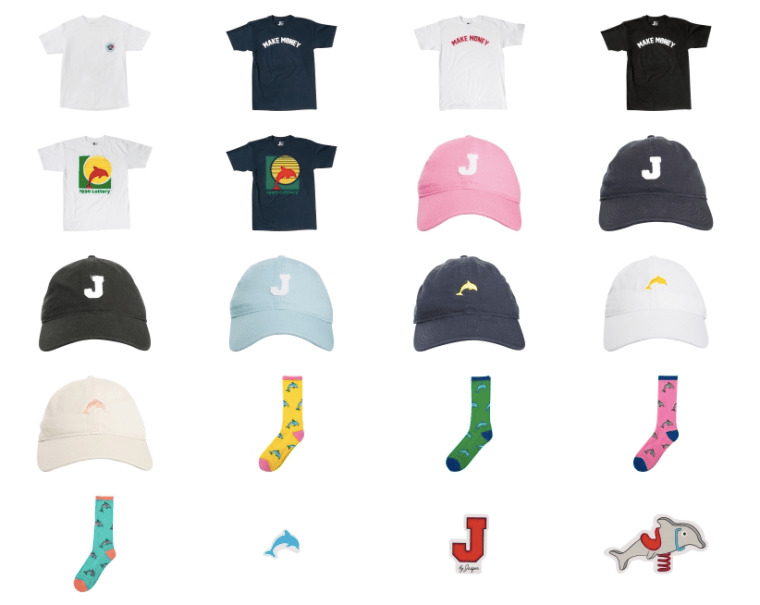 Taco has his line Tuesday and J By Jasper are now online and in select stores. Both lines are very similar with taco emblazoned tees, socks and pins. Jasper's have dolphins dotting the items and he also has dad hats. Check a few of the items out below and visit both lines here.